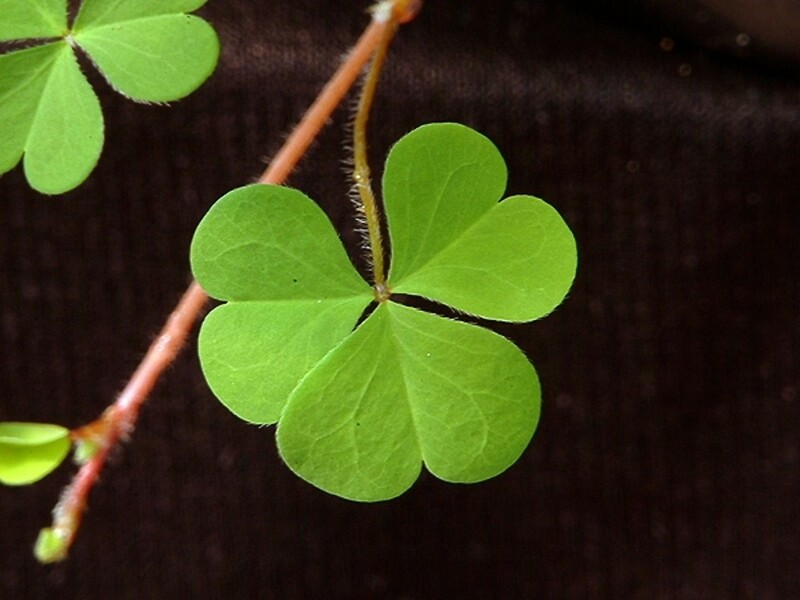 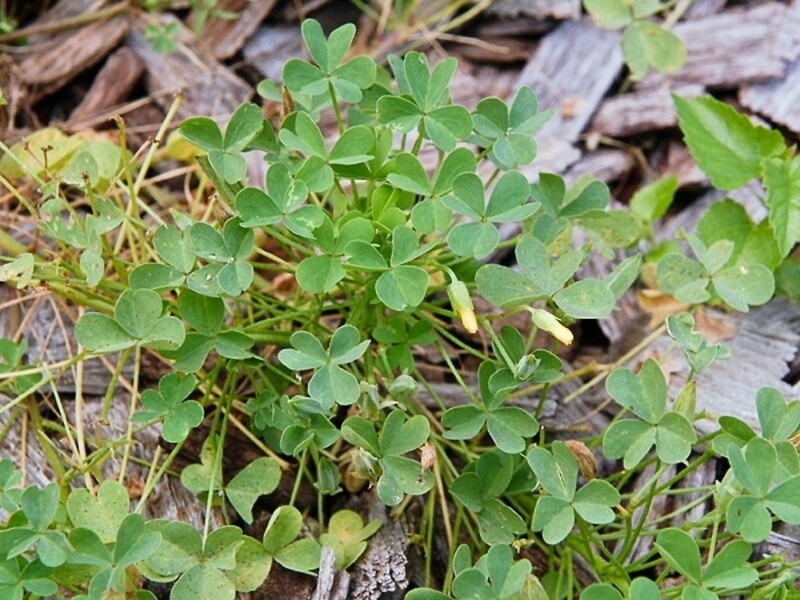 Creeping yellow wood sorrel is a non-native wood sorrel that is fairly common in New England around disturbed areas. 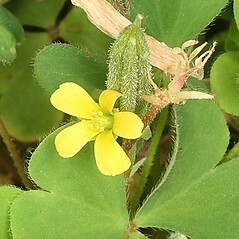 It is one of several ubiquitous yellow-flowered species with leafy stems. 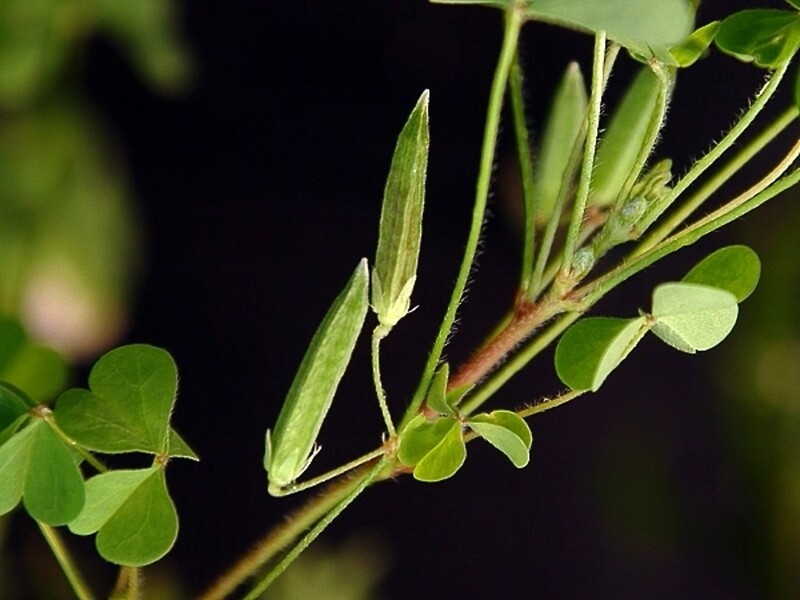 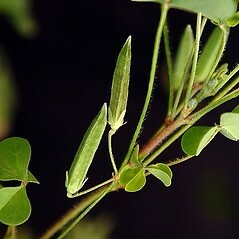 Its trailing stems tend to root at the nodes, and there are small, squarish stipules next to the leaves. 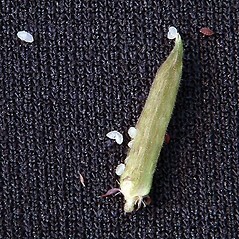 The fruits also have tiny hairs that are divided by transverse septa (these are best seen with magnification). 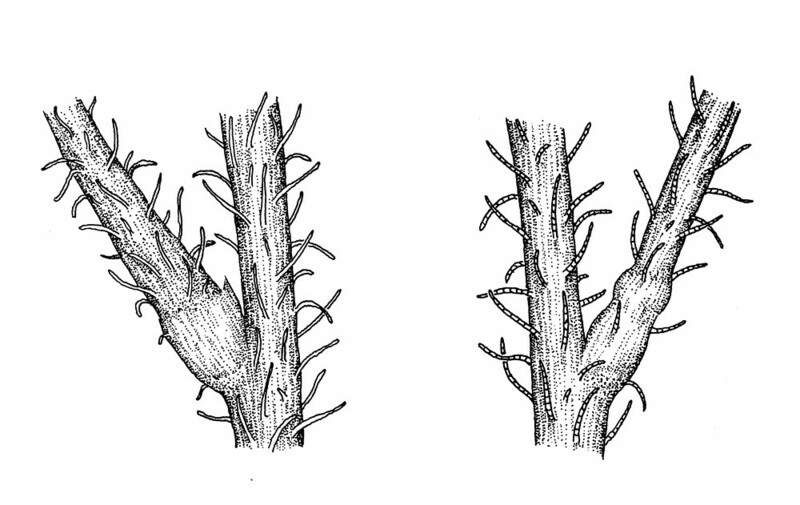 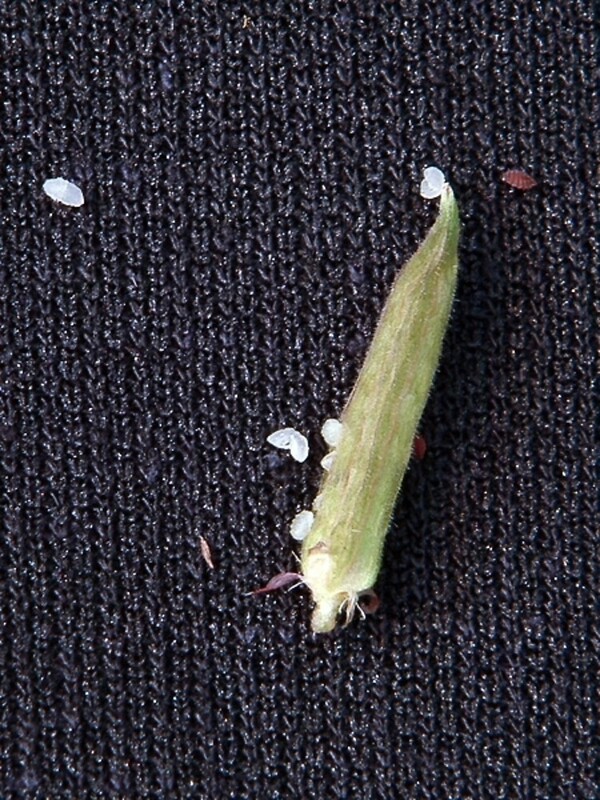 stems moderately to densely appressed-pubescent with hairs that are pointed at the apex but not drawn out into long, fine, tips, and ridges of seeds with prominent gray-white to white summits (vs. O. corniculata, with stems nearly glabrous to moderately pubescent with mostly ascending to spreading hairs that are usually drawn out into a long, fine, tip, and ridges of seeds brown at the summits or rarely with faint gray coloration). 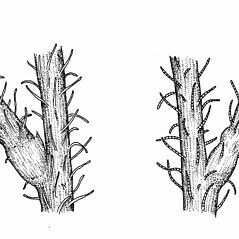 stipules very reduced,without distinct margins, appearing as a small, semicircular swelling in the axil of the petiole, capsule glabrous or sparsely pubescent apically or along ridges with appressed hairs, lacking septate hairs (vs. O. corniculata, with stipules relatively well developed, though still small, with distinct margins, rectangular, and capsule commonly retrosely pubescent throughout, sometimes with intermixed, spreading septate hairs). 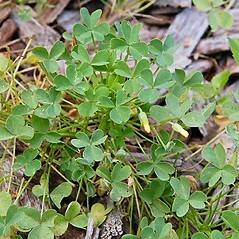 Oxalis corniculata L. var. 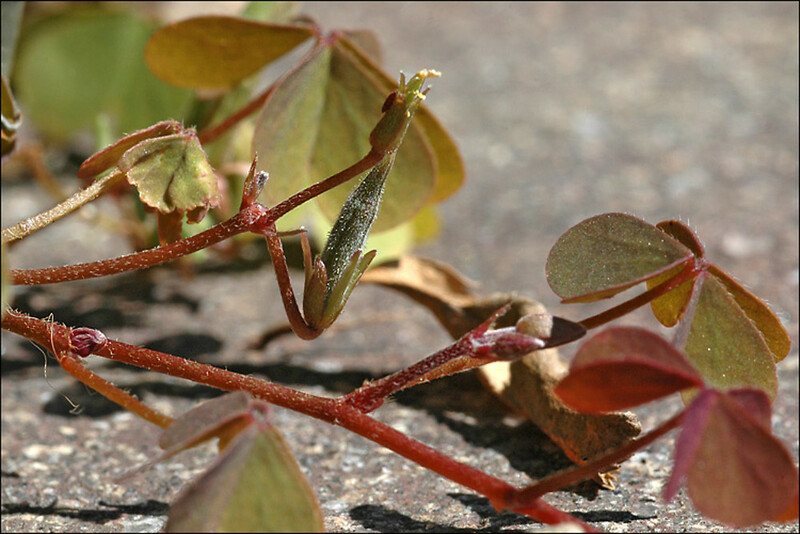 langloisii (Small) Wieg. 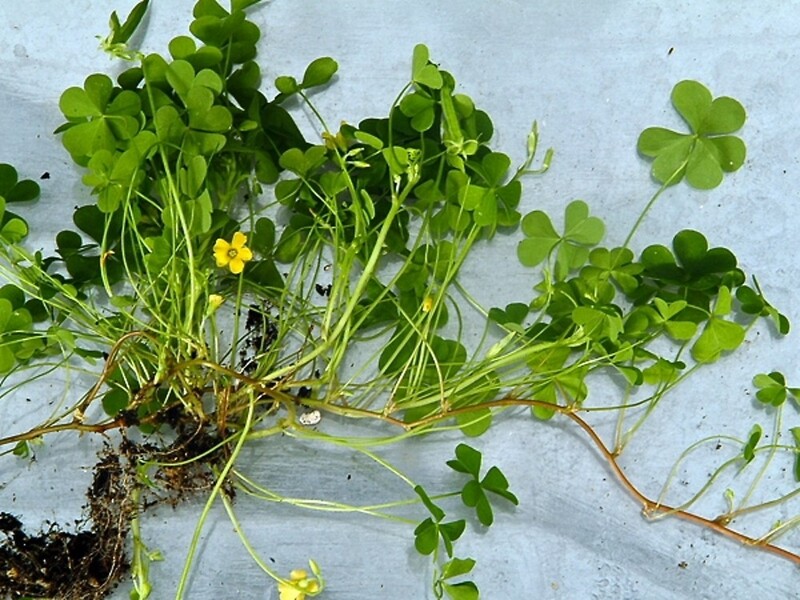 creeping yellow wood sorrel. 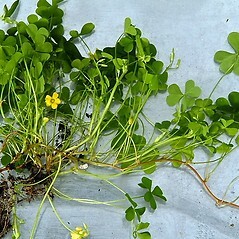 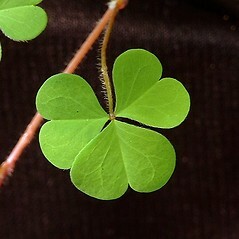 Acetosella corniculata (L.) Kuntze; Oxalis corniculata L. var. 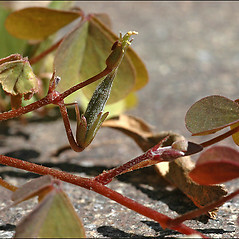 langloisii (Small) Wieg. 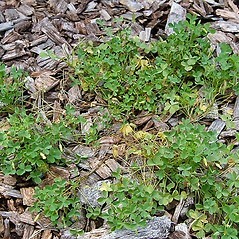 ; O. langloisii (Small) Fedde; O. repens Thunb. 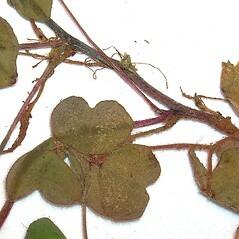 ; Xanthoxalis corniculata (L.) Small; X. langloisii Small; X. repens (Thunb.) 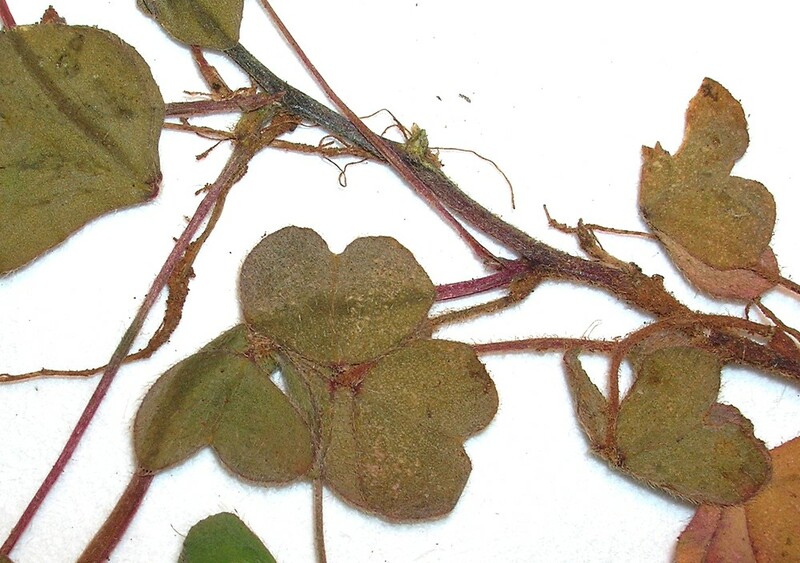 Moldenke • CT, MA, ME, NH, VT; also reported from RI by George (1992), but specimens are unknown. 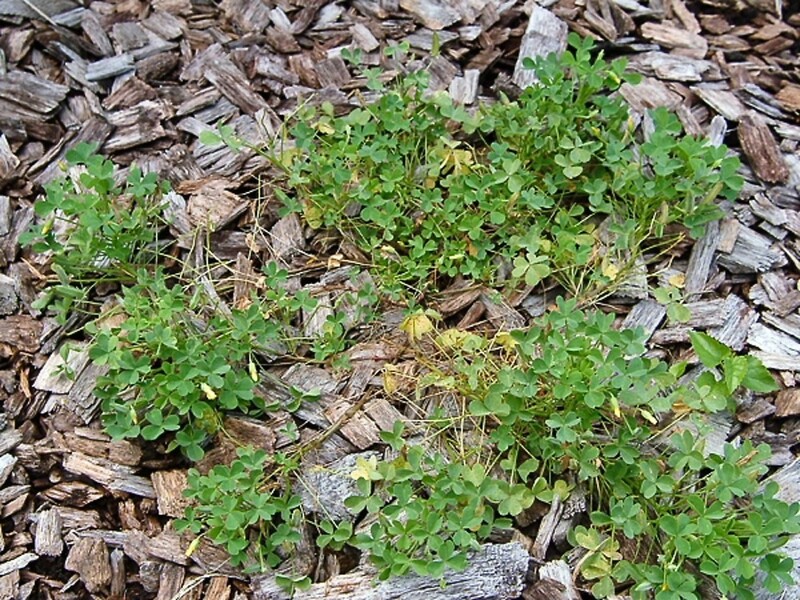 Lawns, fields, gardens, nurseries, railroads, areas of habitation.